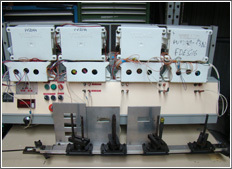 Endurance Benches - Testing Laboratory - Telma S.A.
Telma Laboratory gives you the opportunity to perform reliability tests on your electric power switches, pressure switches and other types of switches on our Endurance Test Benches. The Laboratory uses specific benches allowing for repeated switching cycles (example: ON for 1 second / OFF for 1 second). Hence, we simulate switching for our built-in control systems by steering the vehicle tachymetry port over 5,000,000 cycles. Repeated solicitations from any electrically controlled device (such as relay boxes) can be simulated when combined with our power supply systems. 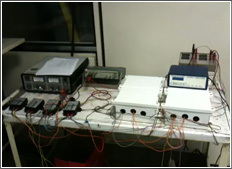 Telma Laboratory uses a reliability test bench on manual controls for the mechanical testing of any lever-operated serrated device that could be combined with an electric system (example: manual control for a relay box).